Travel in Asia normally works well and there are some great airlines here, but there can be some painful challenges with some. One of our most frustrating experiences has been dealing with Philippines Airlines. 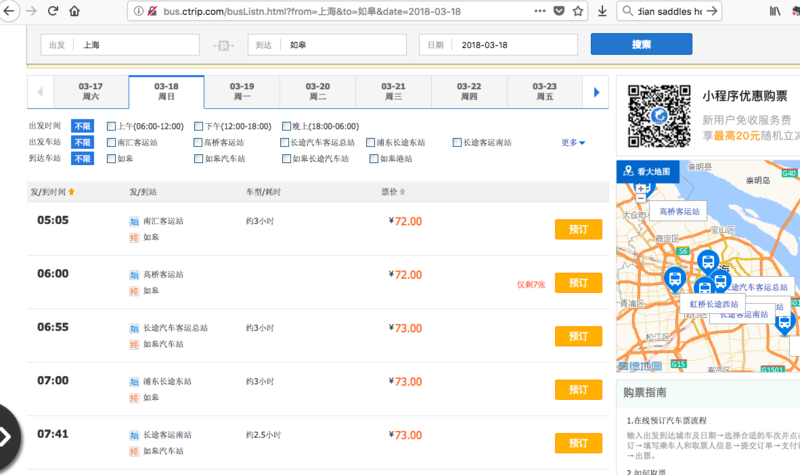 Perhaps the most frustrating experience we’ve had in booking flights in Asia has been with Philippines Airlines, trying to schedule a flight from Shanghai to Dumaguete via Manila. Working with the various uncoordinated offices and archaic systems at Philippines Airlines, in our experience, feels like working with a bureaucracy out of the Dark Ages. We’ve been on the phone for hours trying to resolve a simple issue that is still unresolved as I write. Basically, we have tickets we booked months ago through Travelocity.com for a flight that begins with China Eastern from Shanghai to Manila with a 4-hour layover, followed by a flight on Philippine Airlines to Dumaguete. But China Eastern made a schedule change — as they often do! — which reduced the layover to 2 hours and 50 minutes. Unfortunately, the suggested minimum time for a transfer in Manila (apparently a chaotic airport) is 3 hours, and we are now 10 minutes under that. My wife has made that connection before in just 1 hour, so 2 hours and 50 minutes should work, but Philippines Airlines is refusing to issue the ticket that we have paid for until we change to a later flight. But that change that might require sitting for 8 hours or longer in Manila and missing our first day of planned activities. We’d rather take the risk with the current schedule. 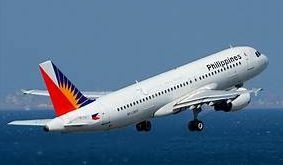 Philippine Airlines has given us and our Travelocity agents conflicting information and hasn’t properly responded to requests for help. They have bizarre internal rules that don’t allow even Travelocity to contact the right people directly and require email contact only for dealing with schedule changes like ours, greatly complicating things. After much effort, the people in their main office in their help center told us that we need to get special approval by contacting some mysterious office in San Francisco. As I write, it is 2:30 AM in Shanghai and we have been trying since 1:00 AM to reach the San Francisco office right as they opened at 9:00 AM California time, but the number that the airlines gave us to call never answers, and a similar US number listed for their San Francisco office also does not answer. We called the US 800 number and have been getting different answers depending on how we ask the question, but in the end it appears that we still need to call the mystery office in San Francisco but are also waiting on hold for various offices inside P.A. to “coordinate” something or other. Ugh. Next time, we’ll strive to avoid Philippines Airlines. At the moment, we are being told that we need to get Travelocity to send the same email that the airlines already has received, but to a new address that will reach the mystery office in San Francisco. 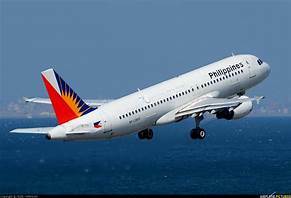 And no, absolutely no, the customer service office we reached through the US number for Philippine Airlines simply cannot forward that email to San Francisco or call San Francisco. They lack the advanced resources needed for such a thing. Update, 3:37 AM: We finally reached the San Francisco office and learned that they could help us, maybe, to get on a later flight that day, but they would need to contact the Philippines office to do that — the same office that on multiple calls has required us to go through San Francisco — and also learned that this would take two or three days (pushing us dangerously close to our departing flight next week) because they cannot just check things and do things on their computer and cannot just call the Philippines office but can only communicate internally with them via email, and since the Philippines office in question is closed on the weekends, we won’t find out if there are even seats for us until Monday at the earliest. Bizarre. Wish us luck. We are getting a little airsick from all the pre-flight turbulence. Hope things go more smoothly once–or rather if–we get on the plane. One of the biggest challenges in general with flights in Asia (and the US) is that when you book them months in advance, there will frequently be significant changes like the cancellation of a flight and a new flight that may leave hours earlier or later than you want, causing lots of headaches late in the game. And lost sleep. 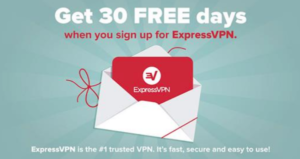 ExpressVPN is something I use daily in China, but I’ve found it’s a useful privacy tool anywhere. For China, it allows me to connect to foreign websites like Facebook that are normally blocked. It creates an encrypted connection between your computer and a variety of servers around the world (you can choose where), and then makes all your Internet traffic appear to come from that local server. By doing this, you data is always encrypted and your privacy is enhanced. Essential for China, valuable everywhere else. Annual subscription is required. Well worth it. With one subscription, you can have a computer and iPhone protected at the same time. I never do online banking or other sensitive tasks unless ExpressVPN is on, reducing the risk of someone intercepting my traffic and snooping. Internet access is a cat and mouse game in some parts of the world, but ExpressVPN is regularly updated and seems to stay ahead. Tech support has been excellent. There have been times of frustration, but they’ve got me through the problems. 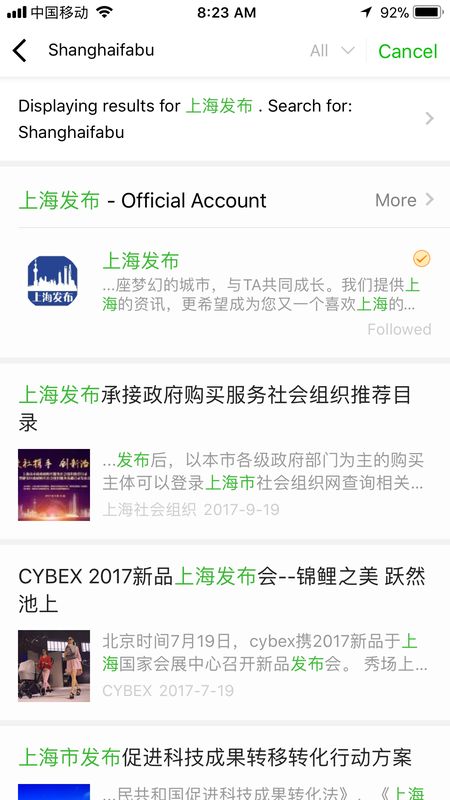 On the iPhone, there are two ways to access ExpressVPN. One is via the app, which works well. The other is via configurations in your settings area, which used to be the fastest and easiest way to connect, but with recent changes in either the iPhone software or ExpressVPN or China, I’m not sure which, that option often doesn’t work for me. But I can always get on through the app. Other VPN tools are out there. However, among foreigners here in China, there seems to be a pretty strong recognition that the gold standard really is ExpressVPN. Others I know have encountered many frustrations with other tools, especially free ones. Let me know what your experience has been if you’re a user of VPN of any kind. 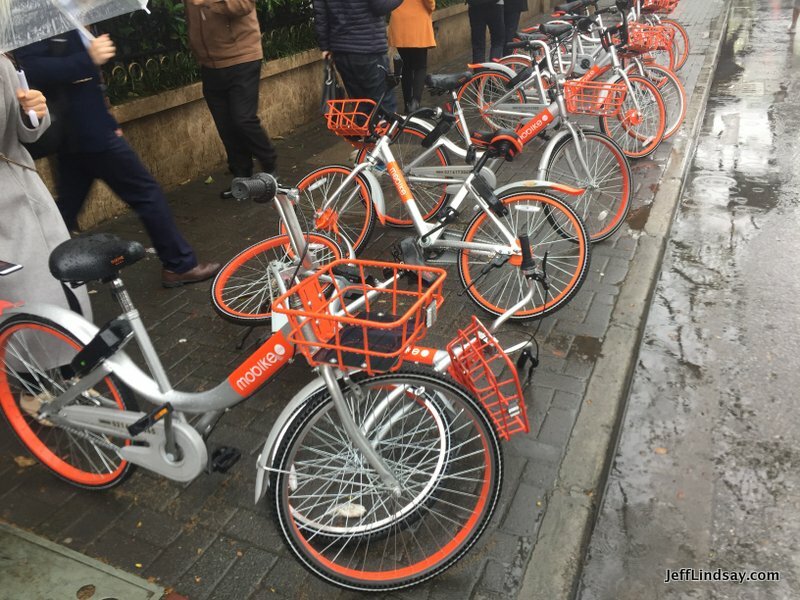 Riding a bike is one of the best ways to get around big cities in China. I have my own large Giant bike purchased new for 800 RMB, and I love it. Fast and smooth, but just one gear. That’s fine for Shanghai. Many people ride rental bikes now like Mobikes or the yellow Ofo bike that I sometimes ride (the Mobikes are just too small for me, while the Ofo brand often allows the seat to be raised high enough to make it possible for a tall guy to ride, though not comfortably). I ride my bike most days when going to work in the Hongqiao area of Shanghai. It’s often faster than a taxi and much faster than a bus. You can join the pack of crazy motorcyclists who are not impeded by traffic jams, cutting in and out of obstacles while carefully observing all relevant laws — well, most of the laws of physics, I mean. Bike riding is fast and convenient, but there are serious dangers. Not as dangerous as a motorcycle, where the higher speed means higher risk, but that higher risk includes collisions with you on your bike, and the results can be nasty. A friend of mine just badly crushed his hand in an accident with a motorcycle while riding his bike. He will need delicate surgery. Another friend was riding across a bridge when she hit a rock and fell from her bike, badly shattering her forearm. Painful surgery and months of recovery were required, but after a year has regained nearly all of her motion. But trust me, you don’t want an accident. Understanding the dangers is critical. One of the biggest dangers comes from motorcylces and especially their nearly silent electric version, the ebike or electric bike. They can be zooming toward you from behind and you won’t hear them coming. They can be coming in from an angle from the back or side and you won’t hear them coming, unless you listen carefully. More important than listening is looking: you need to frequently make quick glances over your shoulders, especially over your left shoulder where faster approaching vehicles are likely to be coming, but also sometimes over your right shoulder. Peripheral vision is crucial. Frequent glances over your shoulders are vital. Understand that a vehicle may suddenly approach you from any side and any angle. A motorcycle or bike may dart out from an alley or from between parked cars on the side of the road. As you approach an intersection or driveway, someone may suddenly move into your path and it will usually seem that they never even looked your way before entering traffic. It’s amazing that some of them are still alive, but natural selection can be a slow and overly random process. I certainly have not seen any evidence that natural selection has been weeding out insane motorists and cyclists over the years in China. Evolution might work well for some species, but it seems rather inactive for species on the road. Never mind, just focus on not being the one who gets weeded out. The key is being totally alert and aware of what’s happening in front of you, at your sides, and behind you. Listen carefully for horns, bells, rattling sounds, motors, snorts, cellphone conversations, or other indications of an approaching ghost rider. Watch for signs of motion between stationary cars. Anticipate taxi doors suddenly opening, usually on the right side. Note the protruding nose of a dog getting ready to make a dash for it. Anticipate the craziness of intersections where people may cross your path from all directions. Total alertness and attention is your key to survival. Here’s the shocking news: for enhanced safety, I’ve given up wearing my helmet. Yes, terrible of me, right? But the statistics globally don’t show that bikers who wear helmets fare better than those who don’t, and in my Shanghai experience, I’ve realized that anything that hinders my peripheral vision or my ability to quickly look over my shoulders increases my risk. Avoiding collisions and falls is the first priority, much better than falling with a touch of added protection. Helmets limit my vision and slow me down when making rapid backward glances. Sayonora. Alertness is also needed for coping with obstacles on the road. Manhole covers may be moved and the dangerous hole not well marked. Potholes may be large. Bricks or other objects can be in your path. With the rise of rental bikes clogging sidewalks, you will sometimes find a rental bike has been abandoned on the side of the road that partially blocks a bicycle lane. Dangerous! Be good citizen and move it out of the way, but do this by stopping gradually and with clear signaling of intent. No sudden moves! Speaking of rental bikes, they add a lot of danger to the scene. Not just because they might be barriers, but because they have brought many new cyclists onto the roads who don’t know much about cycling and safety. And they are slow. They go at about 30-50% of my speed, in part because the wheels are small, and as a result they are constant barriers in front of me I need to weave around. But their riders often don’t ride very well, weaving back and forth as they go. So annoying. Increases the risk for everyone. Be cautious and carefully plan how you can avoid them and get past them as soon as possible. Further, bike renters will often step out onto the road with their bike without even looking at incoming traffic. So clueless. Anticipate their stupidity and be cautious when you see someone standing by a rental bike, possibly getting ready to create a pile-up on his or her first ride. From my experience, a key safety tip is that you need to be predictable. Sudden turns, veering to a side, or a sudden stop can result in disaster. In China, car drivers and motorcyclists constantly forecast where others are going and then plan their sudden weaving in and out or other crazy maneuvers based on forecasting the routes of nearby vehicles. They expect you to just keep going and will time their move based on the forecast. But if you suddenly stop or turn without warning, you may end up where they are about to end up. Bang. Ugly. Notice this when you are in a taxi. Drivers are very aggressive and it all kind of works as long as people are somewhat predictable. Hand signals aren’t common but are a good idea, especially for left turns against traffic. They aren’t going to stop for you in most cases to let you turn, but the signal lets others know what you are doing so they won’t crash into you. When you stop, try to do it gradually. Recently I was riding along, thinking I was alone, and saw a person who was on the ground right after an accident between a bike and a motorcycle. I stopped quickly to help and then heard someone right behind me yell as he slammed the brakes of his electric motorcycle to avoid me. I was nearly taken down by that mistake. Be predictable. No sudden moves! I hope this doesn’t deter you from riding a bike. There are dangers, but if you are alert and cautious, you can manage the risks and enjoy getting around town much faster than going on foot or with public transportation. But do realize that there are risks. Walking and public transportation have much lower risks, so weigh them as alternatives. Very few people have ever needed major surgery after a ride on the subway. The complexities and costs of obtaining a tourist visa to China can be avoided sometimes by taking advantage of the transit visa program that is available in some major cities like Shanghai, Beijing, and Guangzhou and several others. Shanghai offers a 144-hour transit visa, which is great for a brief stay here. Some places may offer 72-hour transit visa or 24-hour transit visas. These visas don’t cost anything as far as I know and are easy to get. You have to show that you have a departing international flight scheduled within the allocated time from your arrival, and you need to stay in the designated area. The Shanghai-Zhejiang-Jiangsu 144-hour visa allows you to travel throughout Shanghai and its neighboring provinces, Zhejiang and Jiangsu while here. 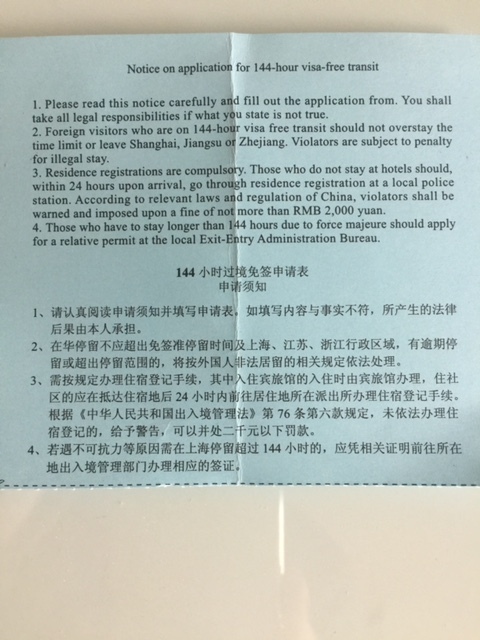 Getting the transit visa is easy, at least at the Pudong Airport in Shanghai, where there is a special line at the far left of the customs area called “Transit 144/24” for the 144-hour and 24-hour visas. It’s a great program — but there are some rules that can create trouble if you aren’t prepared. The biggest problem might be if you are planning on staying with friends or an AirBNB rather than a normal hotel. An important part of the transit visa process is ensuring that you and your place of residence are registered with the police. The work to do this is usually handled by hotel staff who make copies of your passport information and process things with the police. So in the evening after our friends arrived early on a Friday morning, we walked a few hundred yards to our local police station. Strangely, I felt that I should bring along information to renew my own residence registration with the police in since the one I did recently might need updating after finalizing my recent visa renewal. As a result, I brought the contract for our apartment. To my surprise, when we entered the police station and explained what our friends needed, the woman in charge asked for our contract. Whew! Felt so relieved. Here it is. Then she looked at the address. “Oh, you live in Minhang District. This is Changning District. You are at the wrong station.” We explained that the authorities at the airport and the card simply tell us to go “a local police station,” and this is the local one closest to us. She laughed and said, “No, you need to go to Minhang.” Of course. 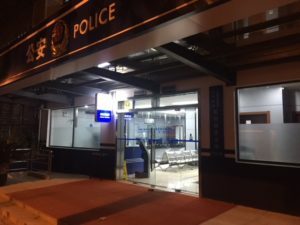 Minhang has many police stations, but in our own registration efforts, we learned there is only one that we can use for our address. So the card should explain that. The one we have to go to is quite far away and took over 20 minutes by cab to reach. Time was running out because we knew the key office at the police station would close by 8 pm. When we got there, the woman explained that we needed our contract — check! — and also a license from the management of our apartment building showing that we were properly authorized to live there. Wow, a second surprise document required. Amazingly, as were packing up to go on this journey, I had grabbed that also. Check! Or maybe not. The officer explained that the license was for my wife and I, but I also needed to get the same form for our guests. Huh? This would require them to have a contract of some kind, as far as I know, and would require a great deal of time and effort, and might not be possible at all. She shook her head and insisted, but in the end with a gentle smile and a soft request for help, she shook off the hidden rules somehow and gave us a break, but said next time we should get the license. No idea how to do that, honestly, but guess we’ll have to try. In Chine, there are rules that can be hard to predict and sometimes vary from place to place or person to person. This officer was kind and gave us a break. Others might not have been so gracious. But in any case, if you are coming to China on a transit visa, stay at a hotel and make life simple. 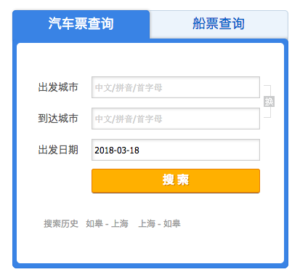 If you are inviting guests to stay with you in China who may come on a transit visa, work with your local police station ahead of time to know just what documents will be needed and make sure you can get them. 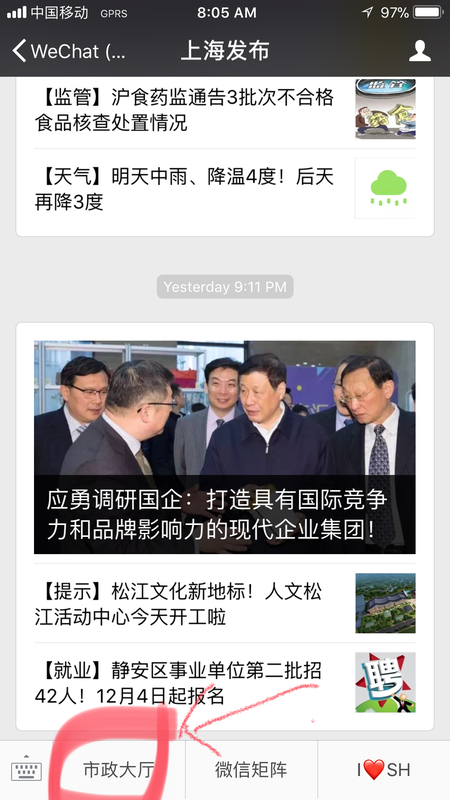 A wonderful new tool available through WeChat can help you find when the next bus arrives. 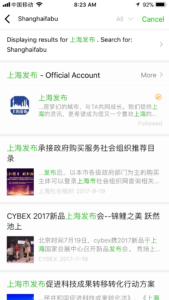 Search for “Shanghaifabu”, follow that tool and then run it. Then in the lower left-hand corner, click on the text button to see a lost of tools. The upper left tool is a bus icon. Select it. Then enter the number of your bus line. A corresponding line will show up below. Select it and then click on the search icon. You will see a list of bus stops. If your bus has two directions, there will be two choices at the top for the two directions. 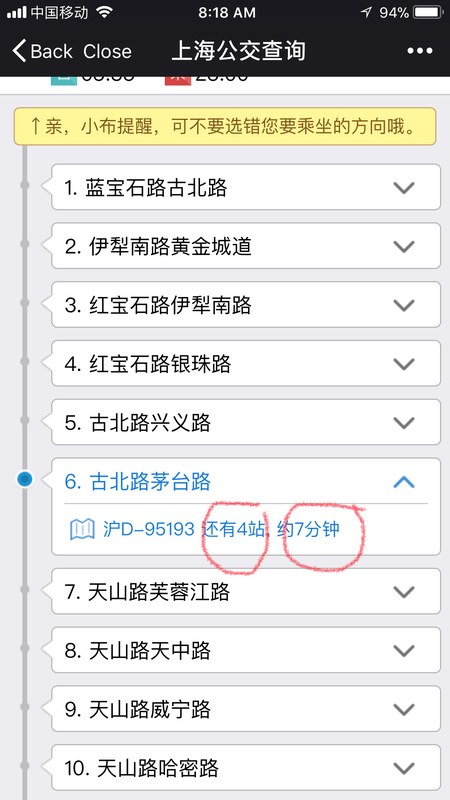 When you click on a bus stop in Chinese (not to hard to match with your station, IMHO), it will then show some data, including the number of stops to go before your bus gets there and how many minutes (an estimate) you need to wait. So useful! Here are some screenshots showing the use of the Shanghai Fabu (上海发布) tool. According to a modern Chinese proverb, a journey of a thousand kilometers begins with a single ordeal involving two thousand kilometers of back and forth trips to get approval to travel. At least that’s what the proverb should say to describe my life recently. After five days in a row of endless worrying and numerous trips, I finally found a route and submitted an application that would seem to solve my problems, and today, a little over a week later, I would receive my passport back containing the temporary visa I needed. Friday morning Sept. 8, I made my fifth trip to the Shanghai Immigration Bureau in Pudong, nearly an hour from my home and office. 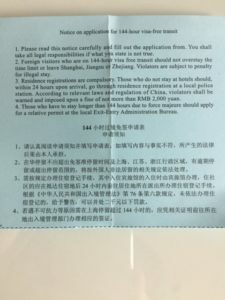 With the help of two kind officials there and the help of others at my work and elsewhere, I ultimately solved what looked like a disastrous problem with my visa (residence permit) in China. As a result, I will be able to leave China later this month to attend a major international IP conference in Amsterdam that I’m partly in charge of (chairing a day, serving as a keynote speaker, a moderator, and an advisory board member), but throughout the entire week leading up to that Friday, there was reason to worry that I would be a shame-faced no-show at my event. Along the way, I learned that foreigners needing to attend international meetings can get special help that many experts don’t seem to know about. This help allows them to be able to leave the country and return while using a temporary M visa, which normally would not allow a return entry. Knowing about this option could come in handy for foreigners having trouble getting their work permit and residence visa renewed in time for the meeting they wish to attend. I also learned that persistence pays off when facing visa challenges. I also learned that officials can be extremely helpful and professional, and even when they seem to be barriers, they may just be doing their duty faithfully and may give you important clues on what to do next, even if it seems like they are closing the door on you. Don’t give up, follow their directions, and you may soon find your problems over. China has strict but reasonable regulations regarding foreigners in China. Working here requires a visa to get into the country, a work permit, and a then a residence permit (often simply called “visa”) to stay here. In my case, the work permit and residence permit need to be renewed each year, and the rules can change and catch individuals and companies off guard. A key lesson is this: don’t passively rely on your company or outside agency. Pay attention to your visa expiration date. Make sure you will be able to have your work permit renewed well before your visa expiration date because you can’t begin the renewal process for your visa without your work permit, and the work permit may require at least month of time. So here are the details I faced and the paths I took that eventually resulted in success. My visa was set to expire Sept. 12, 2017. I was also scheduled to travel to Europe on Sept. 25, just after midnight, so it’s really like leaving Saturday, Sept. 24. My work contract was renewed in mid-August, shortly after I returned from vacation in the US, and then the HR department of my employer began an application for a renewed work visa. Near the end of August my work told me they needed my passport for a few days. I discussed my visa expiration with them and also my travel plans, and was told there would be no problem and that I would have my passport back soon. I somehow thought they would be processing both my work permit and my visa at the same time, but that was incorrect. On Sept. 4, they returned my passport to me, but I could see that the visa issue had not been addressed. So I asked some questions and found that they could not submit my visa renewal request until they had the work permit approved by the government, and they didn’t know when it would come. Would it come by Sept. 12? Because if I don’t turn in a visa application by then, I’ll be illegal and in huge trouble. I was told my work permit could be approved by Sept, 12, but they were not sure. If the work permit did not come by that day, they would have to apply for a temporary M visa, and then later we could apply for the residence permit once we had the work permit. But upon further questions, I learned that applying for an M visa would lock up my passport for a couple of weeks, so starting an M visa on the 12th would not leave time to complete the process and have my regular visa in hand to allow me to leave and return to China. HR told me that the M visa would allow me to leave the country once, but not return. To return, I would need to go to a Chinese embassy elsewhere and apply for a tourist visa to get back to China. This began to look risky. The city I would be in Europe, Amsterdam, has no embassy or consulate. I could go to another city after my conference, but it would be right before the National Week holiday, and I would expect the consulates to be closed. 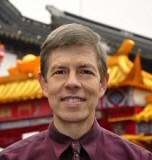 I also have heard that European Chinese consulates will process documents for Europeans but not Americans. Is that right? I sent an email to the Chinese embassy in Holland. That was about 2 weeks ago – still no response. Given the uncertainties of location, the possibility of complex rules and the likelihood of Chinese embassies everywhere closing down for the national holiday, the idea of getting a tourist visa after leaving China looked far too risky. On Tuesday morning I had the brilliant idea of relying on my wife’s work to get me a spouse visa. We gathered the numerous documents that might be required and prepared for a rush application. But after contacting her school and my HR department and making additional inquiries, we learned that this route is not possible for an employed spouse and would require that my current company issue a document declaring that I had left work and was not employed. Definitely not a desirable solution. And even doing that in appearance only would destroy my existing and pending work permit and result in months of hassle and delay before getting a new one, if it would even be possible. Forget that. So our choices became: 1) hope for the best and get the work permit by Sept 12, and then apply for the residence permit, with just enough time to have it by Sept. 22, the last business day before my trip, or 2) assume the worse and begin the M visa application process now. 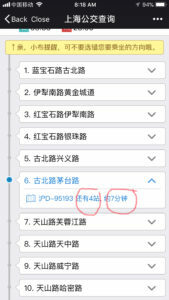 After receiving the M visa, I could immediately seek accelerated processing of the residence permit by paying a 2000 RMB fee (about $300) out of my pocket, and there would be just enough time, if all went well, to get the residence permit before my trip to Europe. After thoughtfully and prayerfully considering things, my wife and I both felt that we should choose option 2, assume the worst. This would involve a great deal of hassle and some expense, but would reduce overall risk. Of course, if we were wrong about assuming the worse and if, instead, my work permit was approved by Sept. 12, it would be too late to abandon the M visa, and we would be pursuing a path that would waste a lot of time and money and even increase the risk of disaster because any glitches in the process might cause enough delay to overthrow my plans. It would be so nice if we could just get that work permit approved by Sept. 12, and then have time for a normal visa application. But the path of hope felt too dangerous. We choose to assume the worst. With a cluster of documents in hand, on Wednesday morning, Sept. 7, I began the long trek to the Immigration Bureau in Pudong, about 1 hour by taxi from our home. I was one of the first in line. When it was my turn, I talked to an official behind a window and explained my situation with a meeting in Europe I needed to attend, an expiring visa, a work permit in process, etc. She looked at my documents and said I was missing an operating permit/business license for APP. Could I get that? And then she said there may be a route for me but I needed to first talk to a leader. “A leader? Where?” I asked. “Over there, at windows 6 through 8,” she said. So I went over to a special section where people were waiting to see one of these mysterious “leaders.” While waiting, I called my colleague at work, our IP manager, and he was able to immediately fax a copy of our business license to the fax receiving office at the Immigration Bureau, which I was able to quickly pick up while my place in line was held by my bag and the help of the line attendant. I came back and felt I had all my documents ready and soon it was my turn to talk to a leader. I spread out my documents and called attention to the printed information about the World IP Summit I was attending in Amsterdam, where I am the chair for day one and also a keynote speaker, panelist, moderator, and board member. This “leader” (as I assumed she was) said since this involved an urgent international meeting, the Immigration Bureau did have a special route that would help me. I could apply for an M visa plus receive a one-time-exit-and-entry pass that would allow me to come back into China. Wow, problem solved! But the letter my HR department had issued with my documents, the letter describing my problem and need, was wrong. It made no mention of my meeting and needed to be rewritten to request that special exit-and-entry pass in order to attend an international meeting. China did have a solution for such situations, reflecting a wise awareness of the importance of having professionals attend international conferences, exhibitions, etc. Until that moment none of the experienced people I had talked to in APP and outside of APP in my numerous attempts to get help had shown any awareness of such a route. It would prove to be a surprise to all of them. Since it is not well known even among those handling visa issues all the time, I feel it is important that I share this information for those it may help one day. The kind, helpful “leader” had suddenly filled me with hope and confidence. All I needed was to rush back to the office, get a new introduction letter written and stamped (nothing is official it often seems unless there is a red official stamp on it), and then rush back to the kind “leader” to hand her my documents for approval and smooth sailing. Back in the office, with the help of our IP manager, I soon had the corporate stamp on a newly drafted letter. The letter requested that the M visa be valid for 2 months from today (30 days is the max, I would later learn) to leave enough time to still process the regular visa after my return on Oct. 7. My colleague also got my more formal stamped copies of our business license and operating permit. And so, back I went to the Immigration Bureau, happy and confident with the end in sight at last. On my way, I would be joined by Paganini, a Chinese artist who sometimes is an extra Chinese teacher whom I pay for occasional help with translation or bring along when I might need a native speaker. He had called asking if we could meet today, and instead of putting him off, I felt he could help with the final touches of the visa process, and so invited him to come along with me to the Immigration Bureau. He would spend the whole exhausting afternoon with me. I got right back in the same line to see the “leaders” and soon had my chance to go over to the kind woman who had given me such hope. She recognized me and then seemed to scowl – what? just my imagination? – and in a curt motion pointed to the empty window next to her and told me to sit there and wait. Huh? Something had changed, I feared. What’s going on? After a few minutes an officer in a police uniform came over and began the discussion. “What do you want?” I sensed something was wrong already. Had my case been discussed and found wanting? Maybe it’s just the endless stream of clueless foreigners that takes its toll on the hard-working, very professional police staff who work there, I don’t know, or perhaps my sense of relief and confidence from the morning was annoyingly present. And really, it must be a pain to deal with cocky foreigners who don’t follow the rules and get into visa trouble all the time and expect special exceptions for them. My problem was my fault, ultimately, though also caused by some mistakes in my company. And yes, I was looking for special help. I pointed to the printouts HR had given me from the work visa submission portal, but these were not helpful because they were unofficial and lacked a red stamp. My friend, Paganini, jumped in and tried to help explain things. She asked who he was and told him to not interrupt. She began speaking rapidly with some kind of directions. I apologized that my Chinese was not very good and asked if she could she please speak more slowly. Instead, she switched to English, rather good English, which caught me by surprise. But it was hard to hear clearly, especially in my panicked mental state, in a noisy environment, as she spoke from behind a glass window. She told me that I needed to go to the Label Department. The Label Department? Yes, and then I can get a label stamp. A label stamp? Yes, the label stamp. I didn’t dare ask too many questions, and was desperately hoping that our HR people might know what a “label stamp” was. “Excuse me, could you tell me where to go to get the label stamp?” She handed me a sheet of paper with many offices listed and circled one. Bingo, a ray of hope. Perhaps I could go there, get the label stamp on my printout or something, and maybe come back and try again? But, she warned, my request seemed unreasonable and at best she might give me a pass for a few days but not for such a long period of time (the revised letter from my work asked for two months, which was way too long). Alas, no hope, I thought. But in reality she had been quite helpful. But I was tired and frustrated and ready to give up. So off I went, dripping in sweat and consternation. I must have looked even more ridiculous than when I started. It would be about three hours later, after Paganini and I had faced further disappointment, that I finally understood what I should have understood immediately. The stamp we needed was not a label stamp from the label department – I heard her incorrectly (her English was excellent) – but a stamp from the Labor Office that handles work permits. A labor stamp! One mystery solved. That recognition came after we had already gone to the office she had circled for us to visit. It was the Jingan District labor bureau and after waiting there about an hour, we finally talked to a very kind, smiling officer – everyone there seemed friendly and service oriented, such a delightful place that filled me with the hope of getting some help. This smiling officer looked at my printout and said it looks like my work visa was being handled by the Hankou District labor bureau, not this office. Sorry, you’re in the wrong place. Sigh! Jingan was the logical office since our HQ was established there, but for some odd reason our HR group long ago must have arranged for work visas to go through Hankou. The Jingan officer kindly wrote down the address of the Hankou office that we would immediately rush to: 123 Zhongshan North Road, or so I thought. So both of us thought. It took 3 tries for a taxi to be willing to take us there (the first two rejected us because we only had an address, not a cross street). The third used GPS and took us on the long journey to what suddenly looked like the wrong place. No sign of a government office there. The cabbie then looked at out little slip of paper and noticed two overlooked tiny little marks that turned the address into 1230 Zhongshan North First Road, a place still quite far away. By the time we got there, just minutes after 4:30 PM, the labor office was closing, which was a shock since the Jingan office we came from was opened until 6 PM, so I thought there would be plenty of time. Missed it by minutes. A loss. But there was probably no hope anyway. The leader at the Pudong bureau seemed to have put us back to option 1, hope for the best and pray that we get the work visa by Sept. 12. I was sick of wasting so much time on this fruitless chase. Three days had been ruined. Tomorrow I would get back to my innovation conference and do something more productive for my company than chase after an elusive visa. One of the many blessings along this path, a painful path in which every step helped and ultimately blessed me to get what I needed, was that the innovation conference was particularly poor, at least in terms of my needs on that Thursday morning. It’s one that I had spoken at previously and now had a free ticket as a former speaker. While the lineup looked great, there was something about the setting and the audience that hinted of low energy right away, and then the first two speakers I heard disappointed me. I wasn’t getting anything out of this event and was feeling more and more antsy, feeling that I was wasting my time here and actually began feeling that it was time to get back to my visa process, that I couldn’t stop yet and couldn’t give up on my plans or fall into the “hope for the best” option. Go! So as a speaker was fumbling around trying to help the conference organizer find her PPT slides on her jump drive, I just walked out quietly and decided to go the Hankou labor office again. I reasoned that if I could just get their help to ensure my work permit is approved by Sept. 12, my problem would be solved. I’d go there for a few minutes and then go back to the innovation conference in an hour or so. But I would never return. The Hankou labor office staff member was very friendly and kind, but told me that they could do nothing to accelerate the process, and that it might not be ready by Sept. 12. Sigh! Could I get a stamp on my printout from their website to answer questions for the police woman at the Immigration Bureau? No, they couldn’t do that, but there was a stamped document they had already given my work that I should go get. I called HR and they said the document I needed was with our visa service firm that handled visa work, and their office was just around the corner from the labor office where I was. So I went there and surprisingly was able to get help right away from a man who is normally quite busy. He produced the stamped labor document for me, giving me the original and a copy, and also was the first one to give me detailed answers to my questions. He explained that the safest route probably was to get the M visa. If I applied for it that day, there would be time to get my M visa and then, with an accelerated residence visa process, just barely enough time, not a day to spare, to pick up my visa and passport on the last business day before my trip. Time was of the essence, though, so off I ran once again to the Immigration Bureau. I got there during their lunch and had to wait an hour before processing began. I took a number for the regular service windows, but seeing that there were about 40 people ahead of me, figured I would have time to first go through the special line to see the “leaders,” where I decided to risk talking to the police woman again and apologize profusely for my stupid mistakes and ask for mercy. I was soon invited to the dreadful window where my hopes had been dashed yesterday, but this time it was a different leader, a man in a police uniform. I humbly sat down and tersely explained my situation, handing him the letter. He asked to see information about my meeting and proof of the tickets I had bought, and then he said, “What you need is an M visa with a one-time in-and-out pass to attend an international meeting. Here, I’ll sign a note to that effect for you on your M Visa application form. Your pass will be good up to the day you return, Oct. 7.” Boom. In seconds, my dashed hopes were restored. He sent me back to the regular processing area where I was already queued in the system. Wonderful! Could it be so easy after all? As I went back to the regular waiting area, I had another moment of panic. I was suddenly missing the passport photos that I had printed and had in a clear plastic bag inside a larger for safekeeping. I had them moments earlier and would need them now. I traced the few steps I had taken, looked under chairs, talked to a maid, talked to the line attendant, looked around the window where I had just been seated, checked my belongings again – they were truly gone and I never figured out what happened to them. In about 10 meters of walking I had lost them. Now what? It looked like I still had about 5 minutes before my number came up. I remembered that you could get passport photos taken on the ground floor, two stories below, so dashed down the escalator, ran over to the photo area, was amazed that there was no line to wait in, and immediately had a photographer taking my photos. I paid for them and then they were printed, and I dashed back up the escalator. When I arrived, my number was listed. Window A10 was open and waiting for me. Seconds later I would have lost my place and would have had to start over with a long queue. She examined all my documents and the signed note from the leader. She said she could give me a 30-day M visa that would expire on Oct. 7. I recalled that my airplane was scheduled to arrive t 11:15 PM on Oct. 7. If it was a little late, it would be Oct. 8 when I reached customs. That would be a problem. What could I do? She said I could come back the next day, Sept. 8, and get a visa that would expire Oct. 8, giving me some extra cushion. But I was so sick of all the time I had spent already that I just wanted to hope that the place would be on time and that all would be well. I told her to process it today. OK, and she gave me a printed receipt for my M visa, including the electronic photo I had just taken (it was probably for the best to have the convenience electronic photo in their system) and folded up all my papers and passport and put them in a stack somewhere. Off I went, relieved to be finished – and then I began to worry that I had made a terrible mistake. Even if the plane was on time, it would be hard to get to customs before midnight. Lines could be huge and slow. And it could take a long time to deplane. What was I thinking? Gave it a bit of thought and prayer and realized that of course, yes, I needed to change. So I turned around and went back to the same woman and apologized. “I’d like to start this tomorrow if possible.” She was OK with that and handed my back my materials. Friday morning I was back and the same woman who was familiar with my situation and had examined my materials took them again, reprocessed my M visa application, and moments later handed my new receipt. My passport would be ready Sept. 19, today, and I would indeed receive it with a beautiful M visa that expires on Oct. 8, with a one-time entry pass and a note that I get another 30 days once I enter China again. Whew! Problem solved. The part about restarting the clock with another 30 days was something I didn’t understand at first. In fact, after turning my materials in on Sept. 8, I was halfway to work again when I began to worry again. I would come back Oct. 7, my visa would expire Oct. 8, a Sunday, and then I would be illegal on Monday, Oct. 9, before I would have time to apply for a residence permit. What to do? So I turned around and went back to the Immigration Bureau for my 5th time and asked the same woman this question, who kindly explained that I would get another 30 days upon re-entering China. Nice! So many frustrations and problems, but the problems were solved as helpful officials explained a route that I didn’t know existed. But next year, I’ll be careful to avoid travel plans that might run unto these kind of trouble near visa renewal time, and I will take more initiative to make sure my work visa is being renewed well before my visa expires so there is enough time to be sure of getting it back first. Don’t want to go through these experiences again! But am grateful I did. I feel like I learned a lot about China in the process, and feel so grateful that everything I needed was provided in the end, just in time. I also was reminded that even when things go wrong and disaster seems to be looming, positive steps to take can be found through prayer. The whole journey of this process was the result of many small blessings that ended up teaching me many things, some of which may be beneficial to others later. Don’t give up prematurely and never give up on prayer in dealing with all your challenges. Finally, as I waited for my passport to be processed, the final lurking question was when would my work visa be approved? If it was approved on July 12 by about 3 pm, then this whole tedious process would have been unnecessary. I could have just waited patiently, got the approval, and then submitted my normal residency permit application that day. Had I wasted a week of effort for naught? My work visa was finally approved on Sept. 13, one day too late for the optimistic approach. The effort was needed after all. In fact, my personal, time-consuming effort was needed because had I relied on others to process this, the ideal route would not have been discovered. Plus had I tried to rely on our outside agency, the delays that would introduce would probably have resulted in further trouble and ultimately left me having to cancel the trip. Rather than buckle, as most foreigners do, or walk away and lose the job, one thing you can do is simply amend the contract with a few sentences somewhere to preserve what you were promised. It helps if the items you were promised have been confirmed in an email that you have printed out. 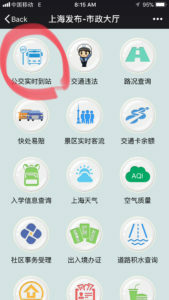 So BEFORE you come to China, make sure that every important promise to you has been confirmed in an email. HR won’t put their offer in writing usually, but you can summarize the key items of the verbal offer in an email and ask them to confirm if you have understood correctly. If they won’t stand by the details of the offer, find out what they will stand by because that’s probably what you will get in the end. Only trust what is in writing before you come to China. When you have proof that important items were in your offer, you can insert whatever is missing back into your contract and initial it, and if needed attach a copy of the proof too coax the company into accepting your revision if they hesitate. Insist on having whatever really matters to you in writing because otherwise it may vaporize. Even having it in writing might eliminate trouble, but it gives you a much stronger position. A friend of mine was promised a title and pay level equal to or better than his previous job, but when he showed up the contract had both pay and title lower. He didn’t realize that the title and rank was lower in the APP hierarchy than he thought until after he signed, and when he went to get that corrected, he was told it was too late and would require a double promotion (two levels) to fix, which is contrary to corporate policy. The person he had worked with, of course, was gone. One friend had been promised an educational stipend to help pay for his child’s tuition, but two years later when his child was old enough to begin school and the ridiculously high cost of kindergarten in Shanghai looked like it was outside his budget, he went to HR to claim his educational stipend, but HR told him that they had never heard of such a thing. The person who promised him that chunk of the moon was no longer with the company, of course. This is one of the benefits of high turnover in HR. On the other hand, perhaps its the reason for the high turnover: people make promises without authorization, collect their bonus for recruiting someone, and then move on before they have to face painful consequences. You need to be prepared for that and take steps to protect yourself, including modifying contracts as needed. I have been handed a renewed contract and was told it was exactly the same as what I signed before, but fortunately I read it carefully and found out that important changes I had required in the past were not incorporated in the new contract, and needed to be manually added. Don’t ever just sign something because it is supposedly the same as what you have signed before. Scrutinize. Good faith mistakes happen all the time. But they are often not going to be in your favor. Pay attention! It also helps to know what risks to worry about and what questions to ask before you come here. Toward that end, it’s valuable to talk with a foreigner who has worked for the company you are joining. They can tell you their own stories and griefs and give you tools for negotiating properly. Sometimes there are surprise rules and requirements, like having to work on weekends, that can really cause a lot of trouble if you don’t know they are there. If you know the risk, you can negotiate to avoid it. But you have to ask the right questions in the first place. Be informed. Talk to people. Network. Learn all you can before you pack up and move to the other side of the world. For most of us, the experience of working here is wonderful and rewarding. Prepare properly, then come join us! In China, it is increasingly important that you use an app like Didi Da Che to order a taxi. Many times you can see dozens of empty cans, often with the green “unoccupied” light on, drive right past you as they go to pick up a customer who has called for them via an app. At busy times or in bad weather, it can feel like you are never going to get a cab by waving one down even though it looks like there are hundreds. The Didi app or the WeChat version under “order a taxi” (Wallet > Order Taxi) lets you both order and pay for the cab. But since you can also pay for the ride in cash, there is sometimes a danger that the driver will take cash and also bill you via the app. This is most likely when you use your app to get a cab for a friend or guest. Before your friend gets in the can, make sure your plans are clear. Are you paying or is your friend? Be sure to have a way to reach your friend to confirm that the plan was followed. If you paid via your phone, make sure your friend doesn’t also pay with cash. This happened to me recently as my wife and I sent a college student home to a distant location in Shanghai. I explained that I was paying, and the phone app charge me for about 300 RMB. But when I saw her a week later, I learned that she had been asked to pay cash, 300 RMB again. Nice score for the cabbie! Here’s what to do. You will need a photo of the cash receipt and also screen shots to show that you paid cash. You can then call the customer service number for the cab company printed on cab receipts, and explain the double billing problem. 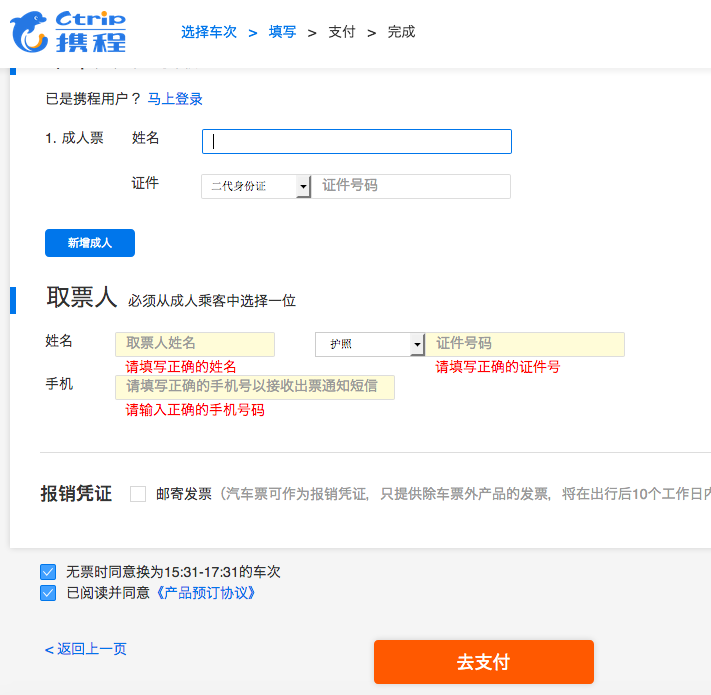 They won’t speak English, so have a Chinese speaker help you if you don’t speak Chinese. They will probably say that this is just a rare good faith mistake, but they should refund your money. It will take a week or so, but you can get a refund. This worked for me. Anytime you are using an app to send someone else on a cab ride, make sure you let the person know that you or they are paying, and have them call you if there is any question or surprise. Be wary! On recent trips to Indonesia, Thailand, Singapore, Europe, and other spots, I’ve had some interesting experiences on various Asian airlines. Here are some thoughts and travel tips based on this experience. First, I’m delighted with Malaysia Airlines. After their disasters a few years ago, they have clearly taken remarkable steps to rebuild their reputation and attract customers. If Malaysian Airlines is going your way, you may find low prices, good planes and helpful staff, with some of the best customer service I’ve seen. This week I had to fly from Shanghai to Jakarta. Malaysia Airlines offered surprisingly inexpensive round trip ticket (2400 RMB, about $350) with a stop in Kuala Lumpur, Malaysia. I called customer service to make seat assignments. For major US airlines like United and Delta, this is a painful experience because you are likely to wait 30 to 50 minutes to reach anybody, and sometimes it takes over an hour. I called Malaysia Airlines twice, and in both cases I was able to reach an English speaking agent within about 2 minutes or less. Astonishing. And unlike China Eastern or several other airlines in China, I didn’t get some spiel about how you can only make seat assignment more than 3 days before the flight or only on the day of the flight or some other annoying story, Malaysia Airlines simply helped me on the spot. In fact, they explained to me that I could also check in right then and print out a boarding pass. This was wonderful because with my printed boarding pass, I did not need to wait in line to get my ticket (if you want to check baggage, you’ll need to queue) and could go straight to security. So nice. Air Asia, also based out of Malaysia, is on the other end of the spectrum for customer service. It is very difficult to find a phone number to call (I don’t think it is listed on their website). When we did find a number, it took a long time to reach anyone and in the end they were not helpful. Their system wants you to do everything online, but this requires being a registered user with your ticket linked to your account. Because we had bought our tickets through OneTravel.com, we could not link our tickets to our account and their customer service agents could do nothing to overcome this bureaucratic snafu. Further, because of that problem, their system would not send us email to notify us of changes in the flight. They supposedly emailed OneTravel, but OneTravel knew nothing about this. This became a near disaster, for our flights from Shanghai to Krabi, Thailand (via Kuala Lumpur) that we bought in August 2016 for the end of January 2017 were moved to 12 hours EARLIER than what our booking confirmation showed. EARLIER. And they didn’t bother to contact us to let us know. Fortunately, we had friends on the same flight who were notified of the change and these friends let us know. If it weren’t for them, we would have showed up at the airport only to learn that our flight have left the night before. And I bet the airline would have washed their hands of that and said it was our fault. When we reached customer service to ask why they had not let us know, they had no good answer. Claiming they had sent another company an email does not explain why they didn’t try to reach us directly. How is a customer supposed to know? Don’t book a ticket on Air Asia unless you do it directly on their website. Going through a third-party will cause trouble for their antiquated computer system. Air Asia had the worst seats I’ve seen in terms of leg space. I literally could not fit into my seat. Fortunately, a helpful crew member found another seat for me with an empty seat next to it so I had a place to put my legs. But if you are over 6 feet tall, I suggest avoiding Air Asia. The airline does has great food on their flight that you can order for a price, but unless you want to pick one of two default items, you should place your order online at least 24 hours before. Great food, actually, but that does not compensate for the other problems. Chinese airlines such as China Eastern and China Southern are generally quite good, but calling service for help might be a bit frustrating at times. Make sure you know their policies on how to get seat assignments before you book with them. More details to follow. Milk has been a problem for many people in China. Trust of Chinese dairies has been low after some past disasters. Large milk powder companies struggle tend to import the milk they use because of quality control problem among the numerous small dairies that provide milk to large providers. Foreigners who like to use milk tend to buy ultra-high-temperature (UHT) treated milk that does not require refrigeration until it is opened, but the flavor tends to be poor from the heat treatment and nutritional value may be lowered as well. 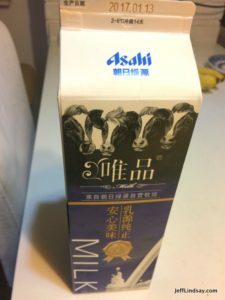 After struggling with various brands of UHT milk and shying away from Chinese dairies for fresh milk, I finally found a brand of fresh that impresses me: Asahi milk. This is a Japanese company using good Japanese dairy methods on their Chinese dairy. The flavor of the milk is better than anything I remember in the US and tastes like fresh milk I enjoyed in Switzerland long ago. Really delicious. A liter will cost slightly over 20 RMB, about the same price for good quality UHT cartons of milk. But so fresh and delicious. Also, I think, safe and consistent in quality. 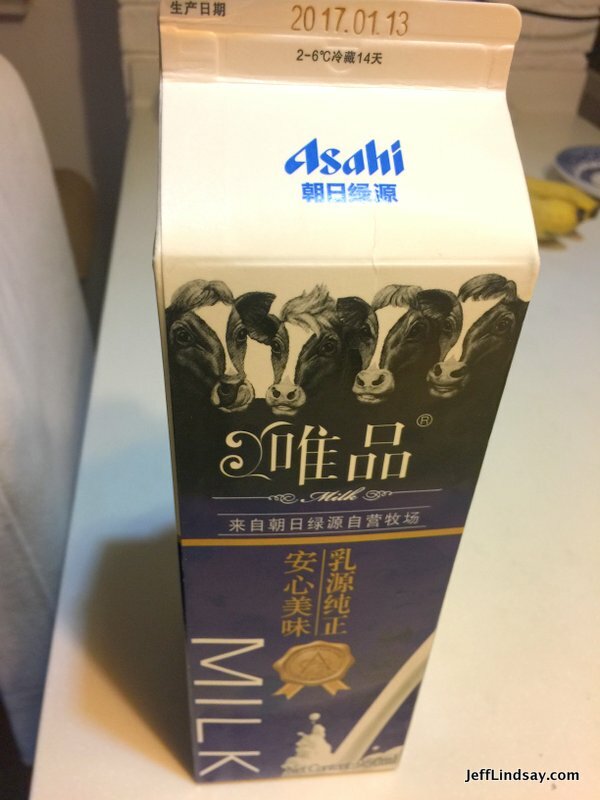 Asahi brand whole milk: possibly China’s best?